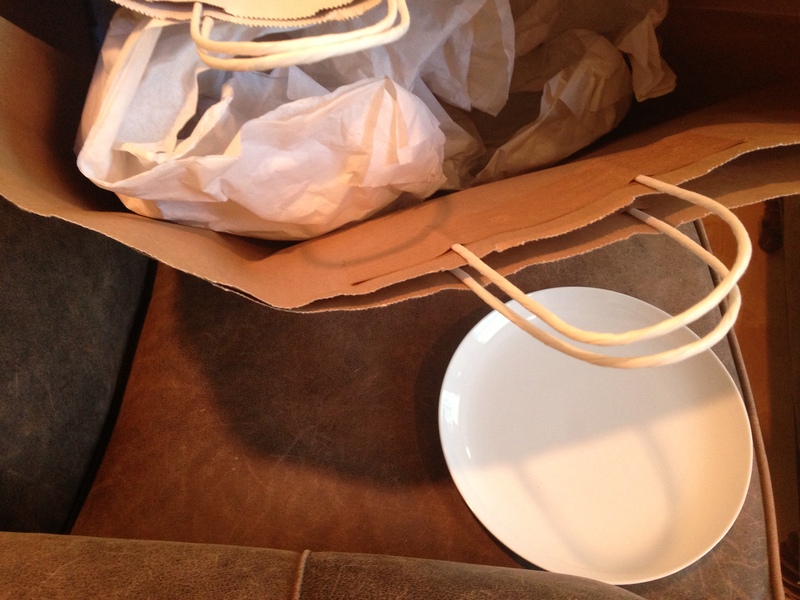 Clump #59: Unwrap and clean plates. 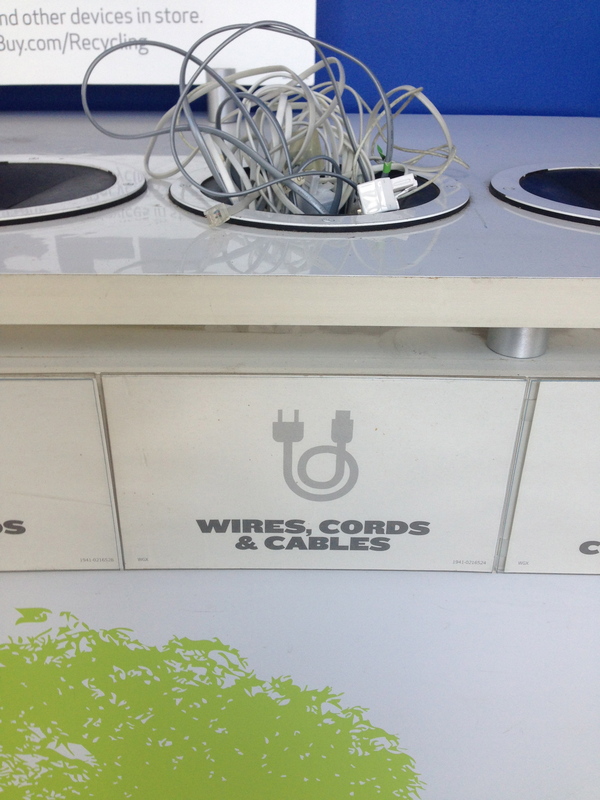 Recycle old, broken laptop and wires at Best Buy. Within spitting distance of 30 days in my month of September, 30-clump, 30-post challenge! The study is almost all cleared out. It’s a little echo-y … might take some getting used to. This was a gift from my husband a long time ago. Smaller plates to make for smaller meals and healthier bodies. He had told me to take them back and see if there were others I might like better. Since then they’ve been stashed in the study. Today I decided that plain and simple was just fine with me, and popped them in the dishwasher. 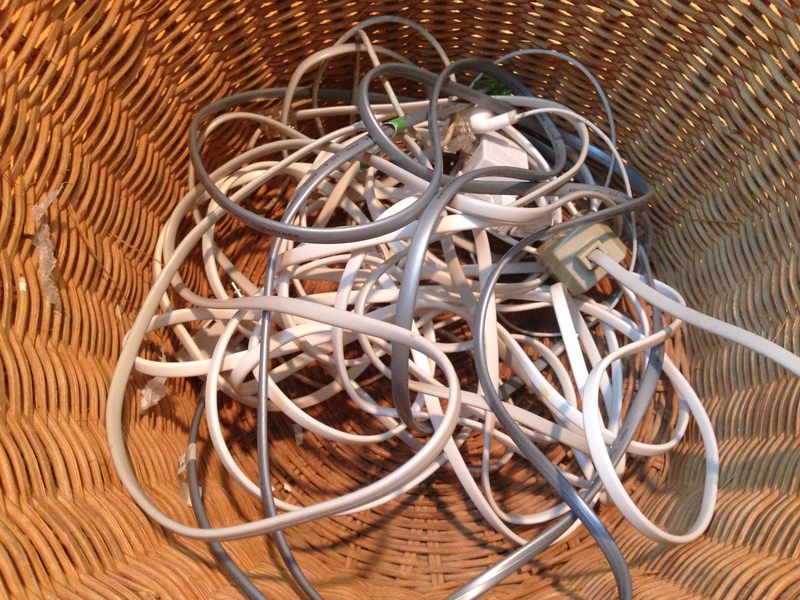 I thought this wicker waste paper basket was a nice relic from my parents’ home … and then I looked inside and saw the snake nest of jumbled wires. Also, an old, hidden, broken laptop from my father’s valiant, but doomed, effort to get my mother to join the computer age. Back to Best Buy! I think I’m getting recognized there as the woman who brings things in to recycle, but never buys anything. 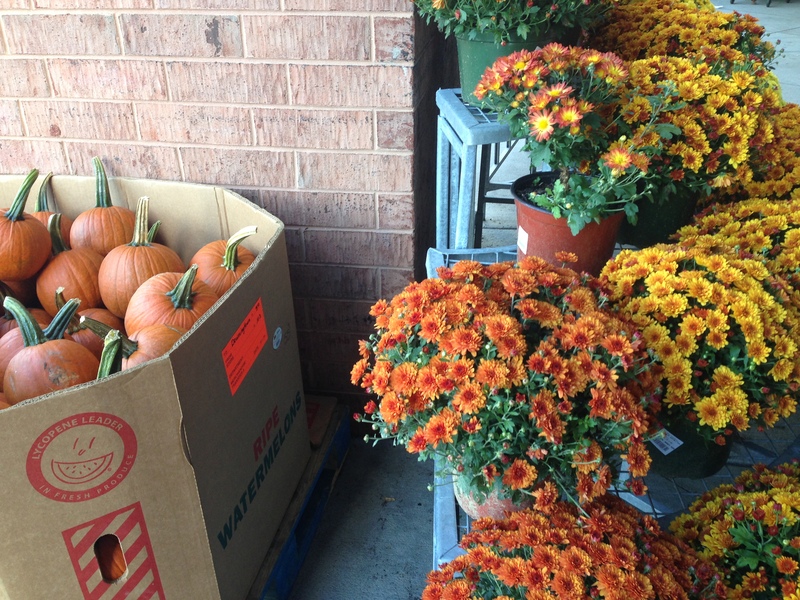 While I was out today, I noticed that the fall season has suddenly fallen upon us. Everywhere I went, the signs were glaringly obvious. 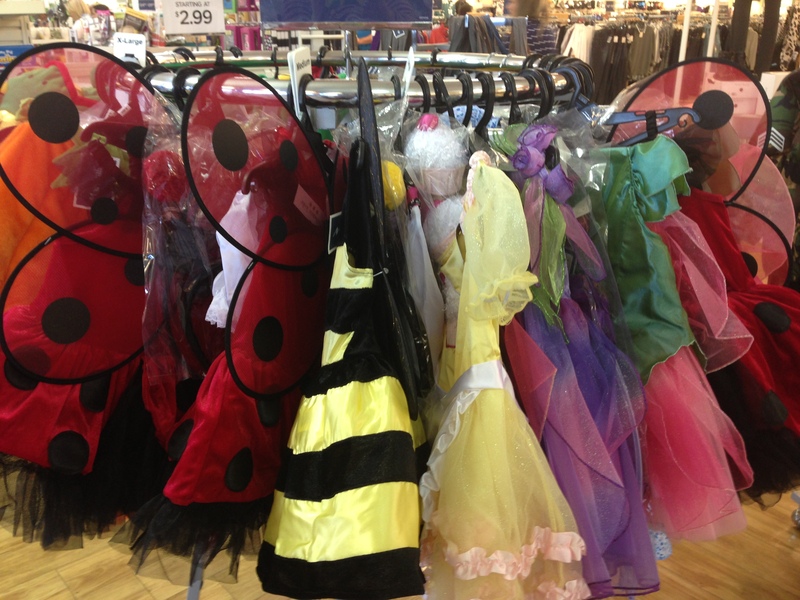 Aww … I miss getting costumes ready for the kids. 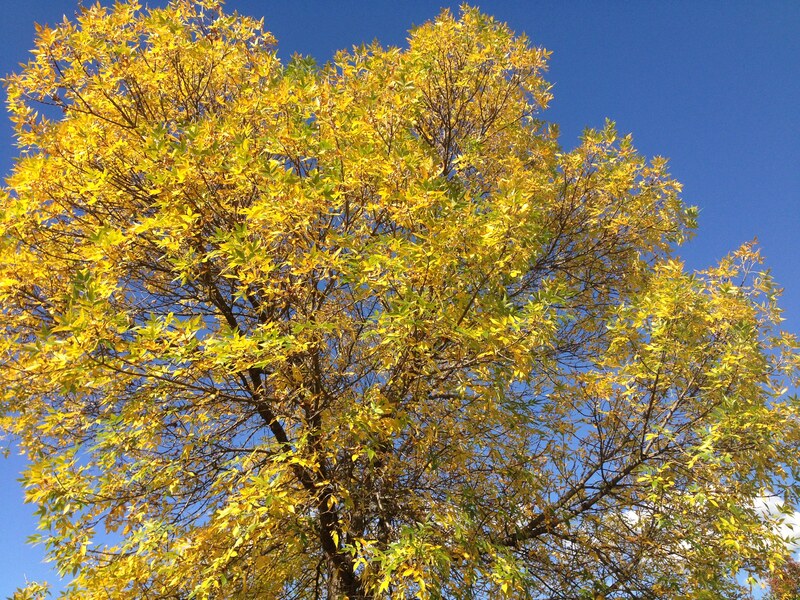 I’m feeling very grateful for the impetus this blog has given me to take more photos. 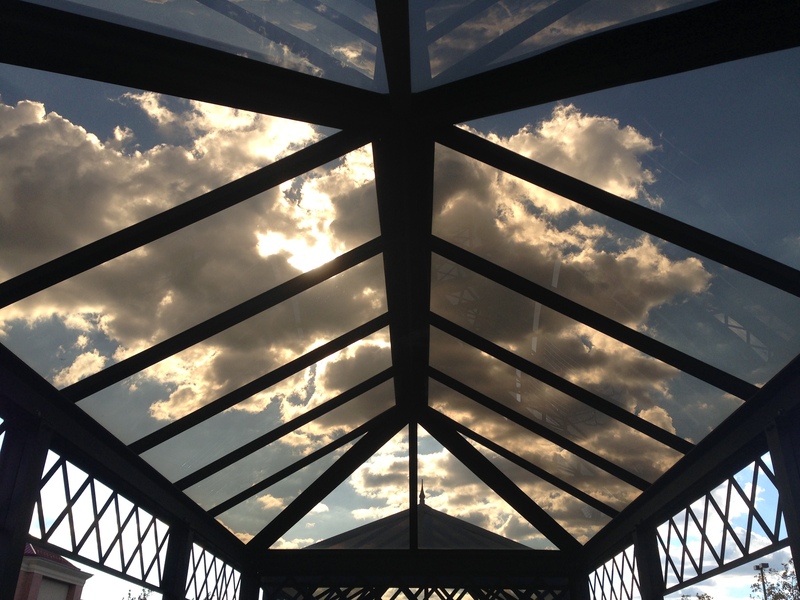 As a result, I’ve become much more attuned to the beauty around me … and above me. Very nice, thank you. Particularly like the cloud shot. I collected some beautiful natural stone yesterday. Found myself wondering about keeping a personal photo blog like yours, except it would be about the spiritual dimension of building and repairing walls made out of stone. Sounds as though you’re on to something.� Do you know the McQuails (also friends of the Butlers)?� It’s their stone and roses I photographed.� They have done a lot of rebuilding of stone walls, and have enlisted a stonemason named Rob Bebee, who is an artist.� He is also a member of Downingtown Friends Meeting. It was where children would play. There were fairies or monsters that I would seek, Whiling away the Sunday I remember each week. Now it is just … there. Just a silent boundary for our graves, Yet the silent guardian for our thought and prayer Keeping out water, making sure the creek behaves. Four letters, three sides, But so much in it resides.